After several months of painstaking research and careful consideration of weight limitations and current equipment, I finally decided on my camera gear. If you’re not familiar with my criteria, you might want to read my other post on travel photo gear. 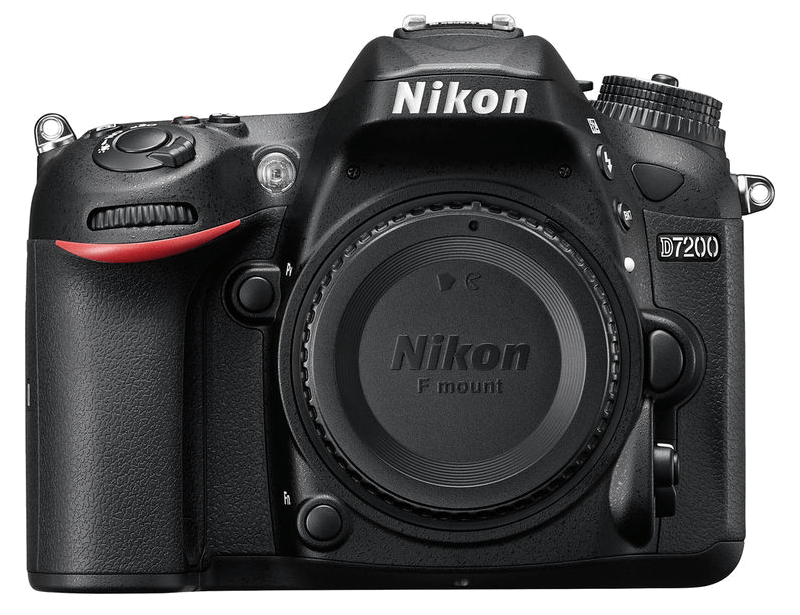 My primary body will be the Nikon D7200. It’s bigger than I originally wanted, but is the best compromise between the functionality I needed, weight and image quality. The D7200 will work with all my existing Nikon equipment so I don’t have to go out and get all new gear specific to a new system. I’m also very familiar with the user interface so I won’t have much of a learning curve. It won’t perform as well in low light as a full-frame sensor camera, such as the Sony Alpha 7 series, but it’s a whole lot better than my previous D300 body. Plus, it has full 1080p video saving me from carrying a separate camcorder. It has taken me a month and a half to write this post. That’s because packing is one of the most difficult aspects of traveling around the world. It’s takes a lot of research, a lot of trial and error, and a bit of luck to determine what goes with us on our journey and what stays at home. We have both traveled extensively and we have, early on, overpacked many times thinking we would need some item. The last time I went to Asia, you’d have thought that I was going to climb the Himalayas with all the gear I had…oh, wait, I was. After trying out the MeFOTO Aluminum Backpacker Tripod, I decided to return it, spend a little more and get the Sirui T-025X Carbon Fiber Tripod. I know that in my review of the MeFOTO I tried to justify not getting a carbon fiber tripod because of the extra expense over an equivalent aluminum tripod, but there was something I didn’t take into account. Carbon fiber is stiffer and doesn’t resonate like aluminum. Weighing in at 1 lb. 14.5 oz. (862 g.), it’s 11 oz. less than the MeFOTO and is helpful in reducing the total weight of my photo backpack. So here’s what I’ve discovered so far about this tripod. I’ll be making some comparisons to the MeFOTO, so bear with me. The MeFOTO and the Sirui target a similar audience: travelers looking for a lightweight tripod solution. However, a tripod is more than just its own weight. It must be steady and support the weight placed on it. The Sirui T-025X uses carbon fiber tubing versus aluminum. The carbon fiber tubes are a slightly smaller diameter, but with nearly the same tubing wall thickness. The legs each have 5 sections and fold 180° for compact storage just like the MeFOTO. However, the carbon fiber legs are stiffer than the aluminum ones and they don’t exhibit the resonant vibrations I get with the aluminum legs. The smallest diameter leg sections are where the carbon fiber really shows its stiffness and dampening ability. Even with weight hanging from the center hook, there was hardly any bending or flexing in the legs. Since there doesn’t seem to be an ideal backpack for our travels, I thought that maybe I should concentrate on the expensive things that should be protected. I still like the idea of anti-theft bags and decided that I should try another Pacsafe product after giving such a poor review of the Venturesafe™ 45L GII Travel Backpack. I’m glad to say that this bag is much better than the previous one I reviewed. I think this one will be the one to go with me around the world. 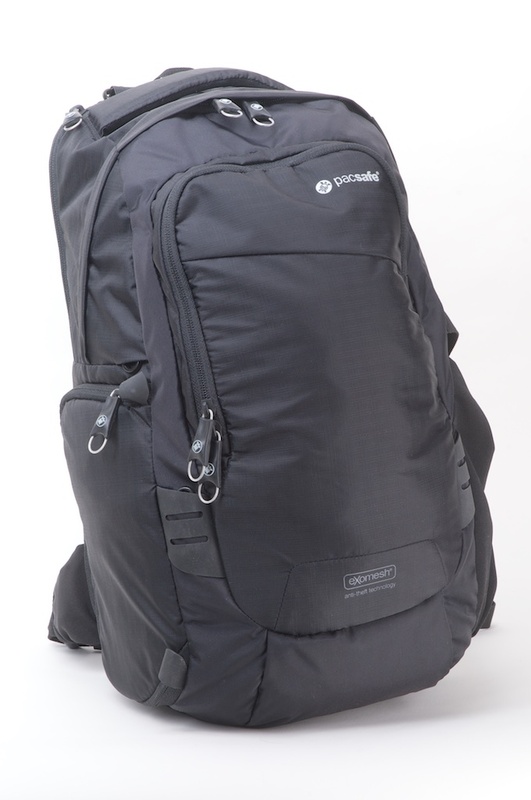 I looked at the comparably-sized Pacsafe Camsafe V17 Camera Backpack (Black) and the slightly larger Pacsafe Camsafe V25 Camera Backpack (Black) . Both had very similar features, however, because I already will be using a backpack as my main bag, this sling bag is narrow enough that it could be awkwardly hung in front of me between my other backpack straps when I need to carry both bags for more than just a few minutes. To begin, let’s start with what I like about this bag.